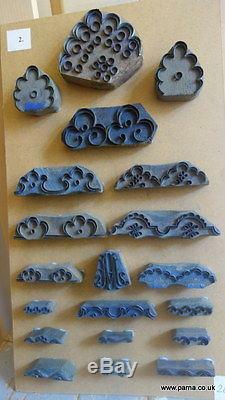 A set of 103 printing blocks. 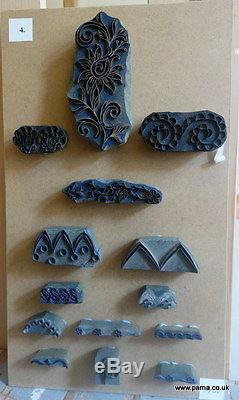 These blocks were used in an artisan workshop in Hungary. To apply patterns to fabric in indigo dying (kekfesto) workshops. Nd made wooden blocks with patterns made from metal ribbon strips. 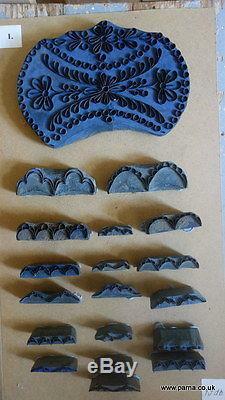 The blocks have been mounted with blue tac on boards for display purposes only. A mixture of patterns including border patterns. 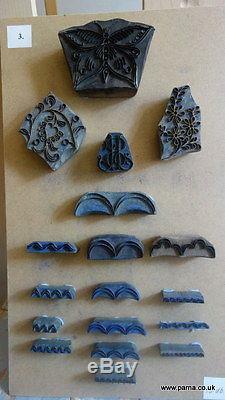 The item "Set of Antique Indigo Printing Blocks" is in sale since Sunday, February 21, 2016. 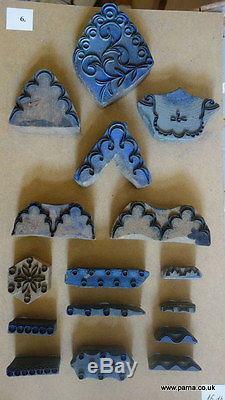 This item is in the category "Crafts\Painting, Drawing & Art\Other Art Supplies". 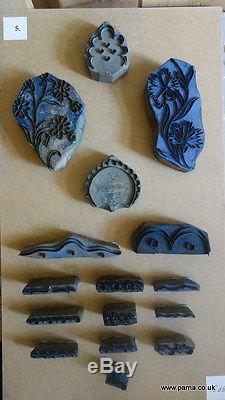 The seller is "antiquevintagelinenandhemp" and is located in kent. This item can be shipped worldwide.